A beautiful paperback edition of The Voyage of the Dawn Treader, book five in the classic fantasy series, The Chronicles of Narnia, featuring cover art by three time Caldecott Medal-winning artist David Wiesner and black-and-white interior illustrations by the original illustrator, Pauline Baynes. 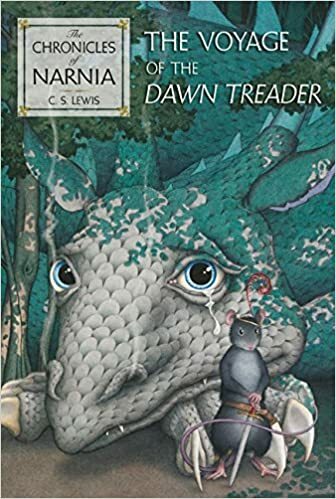 The Voyage of the Dawn Treader is the fifth book in C. S. Lewis's classic fantasy series, a series that has been drawing readers of all ages into a magical land with unforgettable characters for over sixty years. This is a novel that stands on its own, but if you would like to continue to the journey, read The Silver Chair, the sixth book in The Chronicles of Narnia.